"The Handmaid's Tale," the dark story of a misogynistic dictatorship that takes shape in New England, was crowned best drama series at the Emmy awards in Los Angeles on Sunday. 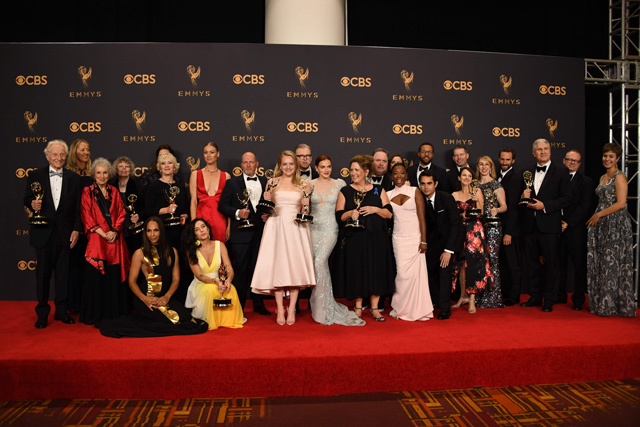 The dystopian drama based on the 1985 novel by Margaret Atwood triumphed at the 69th Primetime Emmys, picking up a total of five statuettes including best actress in a drama for its star Elisabeth Moss. 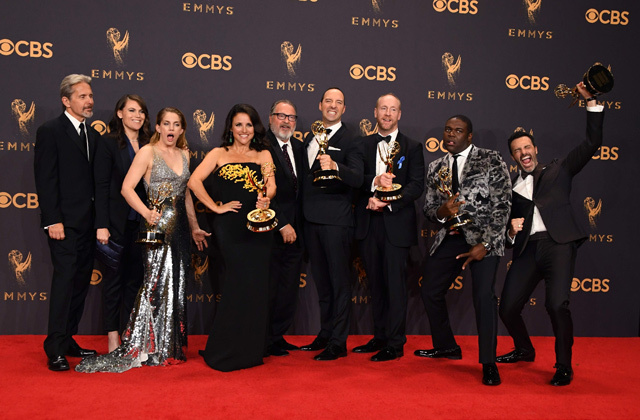 "Veep," the satire of a hapless but charming woman who becomes the first female president of the United States, on Sunday won the Emmy for best comedy series. The television prize comes days after HBO said that "Veep" would end next year. Julia Louis-Dreyfus, who plays the central character of Selina Meyer, also broke the record for most Emmys for the same role by winning best actress in a comedy series for the sixth time. The 56-year-old actress - who became famous for playing in "Saturday Night Live" and "Seinfeld" - promised a "great final season" of "Veep." "We did have a whole story line about an impeachment but we abandoned that because we were worried that someone else might get to it first," she joked, in reference to embattled President Donald Trump. "Veep" in its latest season inadvertently imitated life as Meyer nursed the loss of the White House, although the show largely has avoided parallels to Hillary Clinton and her unsuccessful campaign to be the first woman president.